This one got forwarded to me from a friend in Ontario. 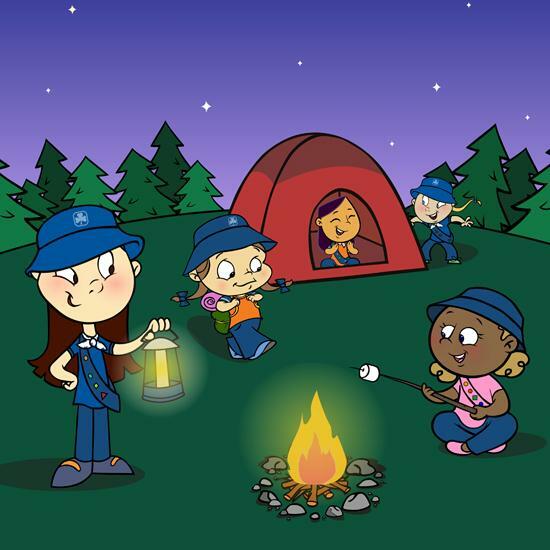 Her 3 daughters are all involved in the Girl Guides and her youngest is currently a "Brownie" (ages 7-8). Night snack: Relatively innocuous but includes a bag of chips per child. Breakfast: Includes waffles with syrup, jam, whipped cream and chocolate chips. Morning snack: Includes Girl Guide cookies. Afternoon snack: Includes something called an "edible campfire" which consists of a fire pit made of mini marshmallows, corn flakes tinder, shoelace liquorice kindling, and pretzel and cheesie fuel logs. Now I would certainly agree that roasting marshmallows and having a few s'mores are definitely part of the rights of passage of kids' camping, but why does every single meal and snack time have to involve dessert? This mom did in fact complain to her daughter's troop leader and was met with the, "but camping is supposed to be fun" argument. I guess that particular leader is so woefully lacking in creativity that she was unable to come up with ideas for fun that didn't involve spooning sugar into 7 year olds. But no worry, clearly this isn't a problem because my friend doesn't have to send her daughters off with their friends troop members camping. She can just say "No", right? But isn't it sad that she might feel that she has to, and sadder still that at least one Girl Guide leader thinks 7 year olds having fun requires ridiculous quantities of sugar and junk food? Would camping not be the same if dessert weren't served every single time the kids opened their mouths to eat?